What Is Our True Human Nature? ​It’s a film clip that’s captured the imagination of millions. 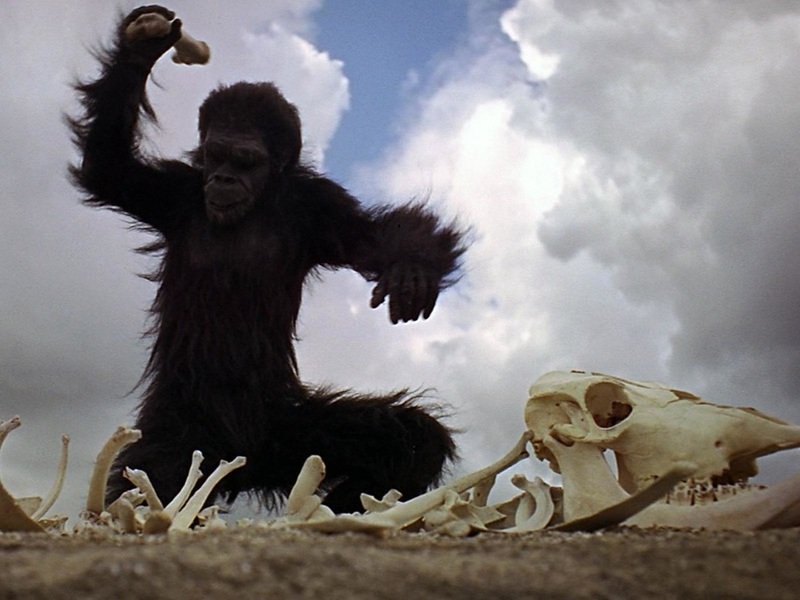 At the beginning of the classic movie, 2001: A Space Odyssey, a band of prehistoric hominids has been driven from a waterhole by another clan.In a moment of inspiration, one of them picks up a bone and realizes he can wield it as a weapon. He and his band use their new-found power to beat one of the other clan members to death. It works. They get their waterhole back. It’s the Dawn of Man. The ape-man genius throws the bone up into the sky and – in a flash of cinematic brilliance accompanied by a grandiose soundtrack – it morphs into a satellite orbiting the earth. It’s a bitter-sweet story. But is it true? 2001: A Space Odyssey | The ape-man realizes he can wield a weapon. Are competition and conflict really the ultimate source of human ingenuity? The story of how we became human is an important one, not just from a scientific point of view, but because it infuses our beliefs about human nature. Our view of humanity’s origin has always been shaped by the cultural lens through which we see it, and as that lens shifts, so does our perception of what really makes us human. Is it our true nature to be selfish and competitive, or empathic and cooperative? This matters, because what we believe about ourselves has a way of becoming a self-fulfilling prophecy. There’s another story to be told about the origin of the human species. It’s been painstakingly put together by archaeologists and anthropologists working diligently over the past few decades. It’s one that can, perhaps, offer us a sense of hope and inspiration for the future. That’s the story we'll be uncovering.